A few days before I left for India, some of my dear friends, the Gopals, allowed me to speak at their home for a gathering that I asked for, in order to seek the blessings of my larger extended devotional family. It will be in two parts, and is a big longer than what I have called my "Vrindavan Healing Video Blogs," which are usually no more than 13 minutes. This series is how I keep in touch with my family and the larger family of devotees and friends, in which I share how I am doing, along with the realizations, experiences, and thoughts I am having living alone in Vrindavan, and doing what has turned out to be an extremely difficult healing protocol, and yet full of grace and blessings, not the least of which is from the prayers of the devotees, my family, and those near and dear to me! Now I share it with you if you would like to accompany me on my healing journey which has so far, at least in India, spanned 2 month with approximately 8 more to go, though it may be longer which I will continue in my home in the USA. For my cancer healing journey in general, I have been sharing it here and on Facebook, for over 3 years. The sound quality is low, so you may need headphones or additional speakers. I notice that most of you who click to read more, don't actually watch the videos. I know they are long. Or have I not captured your interest? I am not a charismatic person, yet I do believe what I have to say has value, for most spiritual seekers, and perhaps especially for those of you who have, or have a family member or friend with cancer, or any life threatening disease. Actually, in the scheme of things, we are all on the threshold of death--it is only a matter of time. From my perspective, we all have to face this reality and use it as an impetus for realizing our full potential, making peace with our past and making it an asset, giving and seeking forgiveness, and making sure we have no unaddressed life issues. Better confront them now, and not wait till on your death bed. Many people die with many regrets! Expanding on these points about getting our inner and outer "house" in order have been the basis of a talk I give called: "Facing Death to Live More Fully Today." When I am healed I pray to continue to travel and speak. As I shared, after this intro, they will each be not longer than 14 minutes, still long by Internet time, yet I can't say everything in less time. Your feedback and suggestions are welcome and encouraged so I know if I should continue these video posts or what changes I should make, if possible. 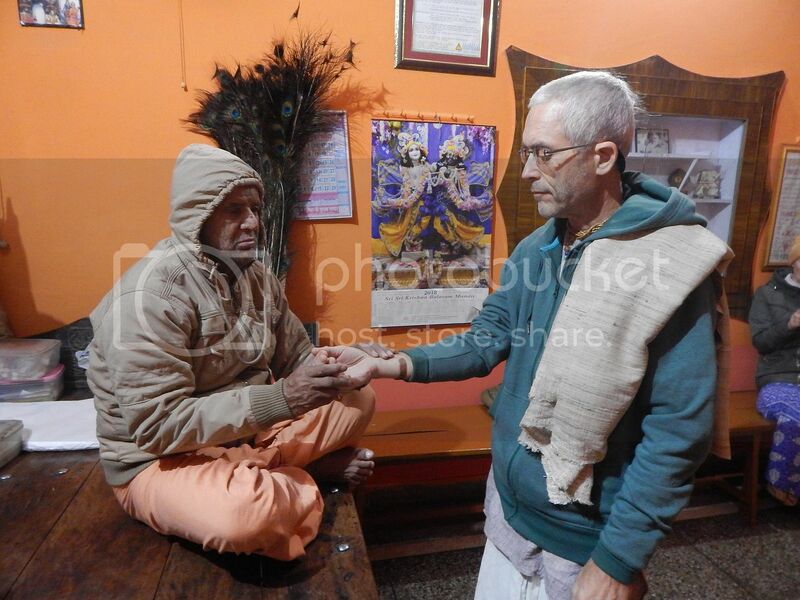 I hope you might accompany me on my Vrindavan healing journey, in which I have and share many intense thoughts, with both joy and tears about my spirituality, personal past, the challenges of living here, living alone, and my struggles doing the treatment. Every person is a walking story or book and has much to share if they would only take the time. I speak and write as part of my creative expression and also as part of my cure for cancer, as it is in the 5th chakra of speaking one's truth and being in integrity with one's values.